Is Mosaic a part of the Emerging Church? Is Mosaic part of the Emerging Church? I rarely pay any attention to rants against “into the Mystic…” The editorial early last spring by Brannon Howse was no exception. But, in light of the recent Calvary Chapel statement distancing themselves from the “emerging church”, I thought I would finally make a little comment about Brannon’s piece. I admit, Brannon’s piece made me chuckle and some of the comments made by some of Brannon’s posse have made me laugh out loud. In a weird sort of way, It was fun. ORIGINS – the MOSAIC leadership experience. However, rather than dismiss Brannon’s piece en toto, I felt I could use it as an instructive guide for us all. Brannon’s editorial was originally called “A Worldview Weekend Special Report: Bethel Seminary and University, The McManus Brothers, Mysticism and the Emerging Church.” To his credit, Brannon changed this misleading title by deleting “Bethel Seminary” and substituting “A Christian University” but he didn’t alter much of the misguided content of his opinion piece. This article doesn’t seem to be online anymore, but I have the PDF and may post it later. I agree with some of what Brannon writes, but before I get to that, I need to clear up a couple of things. Brannon utterly fails when he seeks to equate Bethel University with the so called Emerging Church Movement. He totally misses the distinction between the “Emerging Church” and training “emerging” leaders. eÂ·mergÂ·ing adj. Newly formed or just coming into prominence; emergent: emerging markets; the emerging states of Africa. Those of you who know me know that I have for years explained that Mosaic is not an “emerging church” [or a “postmodern church” for that matter] in any sense of the word. Mosaic is an established mission with seasoned missional leadership and gobs of experience in effectively taking the gospel to some of the most challenging fields on the planet. No “emerging” happening at Mosaic except for the fact that we 1] have trained for decades now and continue to train younger, emerging leaders, 2] continue to learn and grow ourselves, 3] continue to innovate and break new ground in mission. Recently a Los Angeles Times reporter was given the assignment to write an article on the “Emerging Church.” In doing her research she called me to talk about Mosaic. After she did her research and wrote the article, I spoke to her about why she chose not to include Mosaic. She had concluded from her research that Mosaic was not an emerging church because emerging churches tended to be “small, white and inward looking.” [Of course, this is not true of every church that self identifies as “emerging” and, what’s more, I see a future for small missional teams of whatever ethnicity, but we’ve got to lose the “inward looking” part]. Sometimes, the secular press gets it faster and deeper than the “Christian” news sources. What’s more, Mosaic is different from the “Emerging Church” not just in terms of ambition, ethnicity, and mission, but also in attitude and thinking. 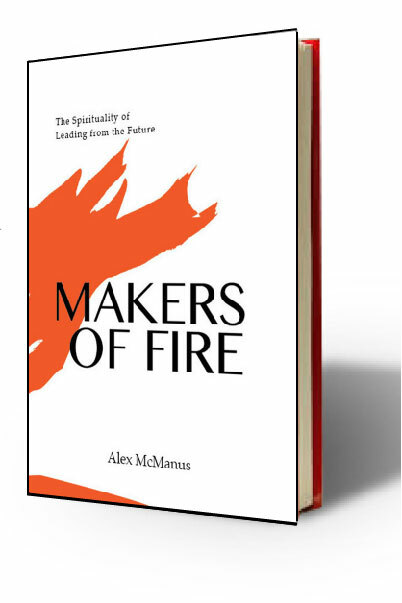 Many of those who take on the mantle of the Emerging Church seem to me to be burned out Church leaders who needed to bail on a Christianity that offered pat but empty answers. I consider this a good move. But, in contrast, Mosaic is more like a convert who is full of enthusiasm, joy and hope. The new convert moves with speed and intentionality towards Jesus, towards the scriptures, towards Christ following community, and towards the world in service and mission. Brannon doesn’t “feel” these distinctions. Yet. So, Mosaic is not an emerging church. Brannon “misses the mark” by equating Bethel, Mosaic and Erwin with the “Emerging Church Movement.” It is true, however, to say that Bethel Seminary, Mosaic and Erwin are quickly becoming the reference points for “emerging” [i.e. “future,” “young,” “potential”] leaders. No doubt about it, they are hot, hot, hot and I highly recommend them all. [I hope it’s not too immodest to add here that “into the mystic…” has also become a quickly growing reference point for emerging leaders. Thanks to all of you for helping me spread the word.] I will continue to use the terms “emerging” and “emerging church” because truthfully I’m just not freaked out by what self-identified “emerging church” leaders are up to. In many ways, I “feel” them. But I don’t want to be all negative. So let me finish this first installment on a positive note. Brannon also states in his editorial that the kinds of things I write about here at “into the mystic…” are “weird.” Here Brannon and I agree. This is weird. Brannon is not completely off after all. If we’re open, I guess, we can learn from anyone. You resonate with us here in South Africa. Your thoughts are universal and relevant to us! “All of this word discussion is very silly and trivial. If by ’emergent’ we mean emerging from the institutionalised religion that Christianity has become then fine, but why do we need to label it!? As long as we do what Jesus called us to do – our mission as his dsciples – we do not need a label. As Erwin so rightly points out if we ‘Live by Faith’, ‘Be known by Love’ and ‘Be a voice of Hope’, then we need no label, other than Followers of Jesus. Labels give us the feeling of belonging but many times also limit us. Pingback: emerging.dk » Blog Archive » Hvad er Emerging Church? With all do respect sir I have also read Brannon’s article and to me it is a very clear editorial about the direction churches like Mosaic, Kensington.. are leading those who attend them. That is whether you and Erwin Mc., are calling yourself Emerging or Emergent or not. First of all, I checked the mosaic website and it is at best very vague. Their is nothing written about the tenants of the Bible,Christianity and beliefs of your church. It is just a hodgepodge of “let’s get together”, for a mission. What mission is not clearly stated. Groups and meetings..community Yes it is good to get together as Christians but it is important to preach against sin..adultery,homosexuality,abortion, stealing, lying…and of course many others. Yet leaders like you and your brother are vague and don’t draw a clear line in what you are trying to accomplish. To some it is. Is it in numbers, number of people coming through the doors? The number of youth? Yes youth…come as you are..but change! Preach the tenants of the Gospel of Jesus Christ as they are written in the Bible and preach against sin! That’s what the people need to hear about, the good news of Salvation in Jesus Christ only. He only came to set the captives free! It’s not mystical. It’s The Truth. Alex and Erwin, God blessed me mightily by allowing me to pilgrimage with you all for a short time. I saw you Morhsr and Sister Lea a few weeks ago. Brought back many dear and interesting memories. I saw Rick Blythe recently and remembering the Rock House. Was just with Dee Deloy. Same old Dee. We were at Gerrie Leobard’s Memorial Service. Recall you two as active Soul Winners. Hope to hear from you all. That would be good. Haven’t seen you since E. LA. The Brazilian Restraunt. Been a while. Easy to track Erwin, Alex trying to catch up with what God is doing in your life these days. Hey, Frank. Thanks for the kind note. Good times. Good to hear from you. and through my personal site — alexmcmanus.org .